We were walking down the hill in San Francisco behind these two. They were clearly excited about something. 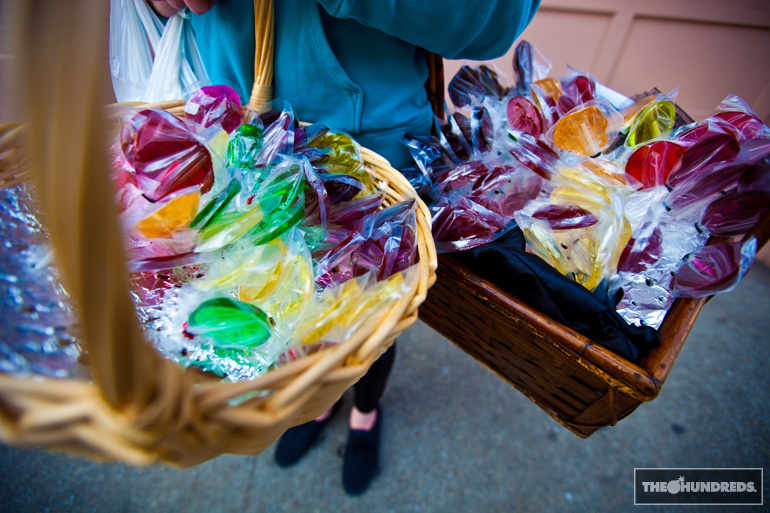 Plus, they had baskets of lollipops, so I asked ’em what they were doing, what all the fuss was about. These 2 girls are chasing a dream, and actually realizing it before your very eyes. 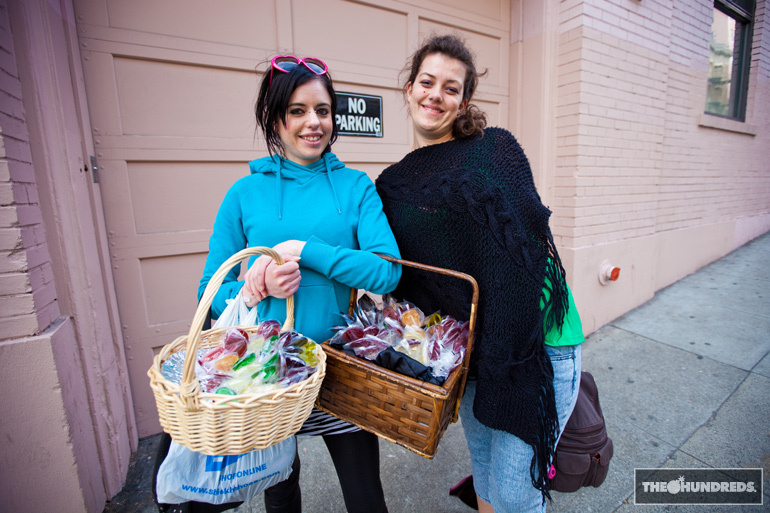 The one on the right quit her job the day before and her rent’s due in a matter of days, but she believes so strongly in their project that she’s all smiles and no worries. They didn’t have a business card because they’re a “green” company but they’re called WISHPOP and local SF shops are expressing interest. Good for them. You go girls.